According to the University of Georgia, the average college student gets 6.0 to 6.9 hours of sleep per night. 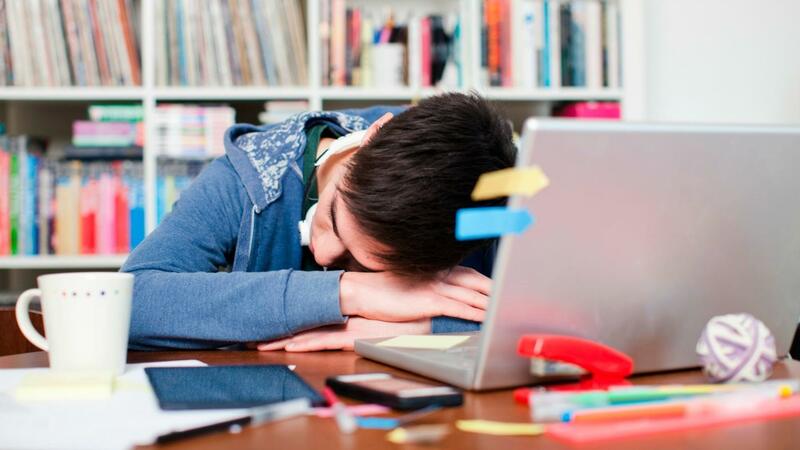 Studies show that sleep deprivation affects college students' health, safety and grade point average. Stanford University points out that college students require on average more than eight hours of sleep per night. When they do not get enough sleep, a sleep debt exists. The sleep debt continues to accumulate and does not decrease on its own. The only way for a college student to reduce his sleep debt is to get extra sleep. Sleep debt results in a decreased immune system, weight gain, decreased academic performance and increased mental health problems. What Is the General Exam Timetable for the Average University Student? What Is a Good Laptop to Use in College?